The universe weaves a magnificent tapestry and we are the thread. It’s multi-dimensional and unlike anything we’ve ever seen before on Earth. 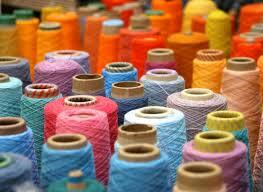 No two stitches or colors are the same. The shuttle moves in and out, strands overlapping and then moving apart. When one thread runs out, another begins seamlessly in its place. If any part were missing there would be a hole but there are none. The tapestry is perfect; the tapestry is divine. We sacrifice our mortality for being woven into the whole, the strands, equal parts life and death. This is God’s work and we sense it, we search for it, we believe in it through faith. John Lennon said life is what happens to us while we are busy making other plans. Cocooned in the fabric of our tiny little lives, it is easy to forget we are part of a divine creation. We live most of our days in the routine of familiar comfort. We get out of bed. We feel stressed about work. We cook dinner. Clean the dishes. Get married. Go to college. Have babies. We think we’re fat. We clean up dog poop. Life goes on and on and on and it can be so distracting, we forget that life is so fragile until something comes along to shake us from our complacency. It could be a lump. A diagnosis. An accident. Or simply hearing someone say they are growing weary of this world. Those are the moments our awareness shifts and we hold on by a thread because all we can offer seems so very small. A visit. A card. A hug. Maybe a meal. Such small insignificant things. My friend Mr. Edmund is 93. Four months ago, he broke his leg, ruptured a disc and went through rehab. The worst of it is not so much these recent setbacks but more that he’s so very tired, just plain worn out. “Susan, I’m ready to cross the river,” he says when I visited him last week. He’s lost nearly all his old friends and family, his parents, his brother and sister. I know this game, we’ve played it before. “I’m so sorry you feel bad, “ I say “but it’s not your time. You look too handsome.” Eventually I get a smile out of him. Of course, I don’t know this. I want him to feel better and I am so thankful to have him here. These little conversations mean so much to me. I admit, he is looking a little pale this day, sitting in his old recliner with a blanket pulled up to his chin. We talk about regular life stuff, like how my husband and I are taking dancing lessons, about the holidays spent with our families, about my son and his fiancee and my pets. Mr. Edmund swears he wants to come back as one of my pets, in another life, that is. He thinks they have it that good. Later, I reflect back upon scene. One minute we are talking about dying and the next I’m talking about the Foxtrot. It seems so easy in that moment, like life and death are one and the same. Western culture tends to think of life and death as mortal enemies. We forget life is not the thread anymore than death- they are one human experience twisted into a single strand. Life and death, are of course inseparable. Not only in a single life but in our connection to all the lives out there. This is the tapestry. I know about everlasting life. I know my name is written on God’s hand but I confess, I can’t help but worry about the details sometimes. It’s hard doing needlework. Maybe like me, God’s eyesight isn’t so good anymore. Does he need a magnifying glass or need to borrow some readers? It’s so difficult to read the directions sometimes and I think sometimes how in my hurry to get to the next thing, I’ve just glossed over it and missed some of the important details.Who knows what is really being written about us there on God’s palm?